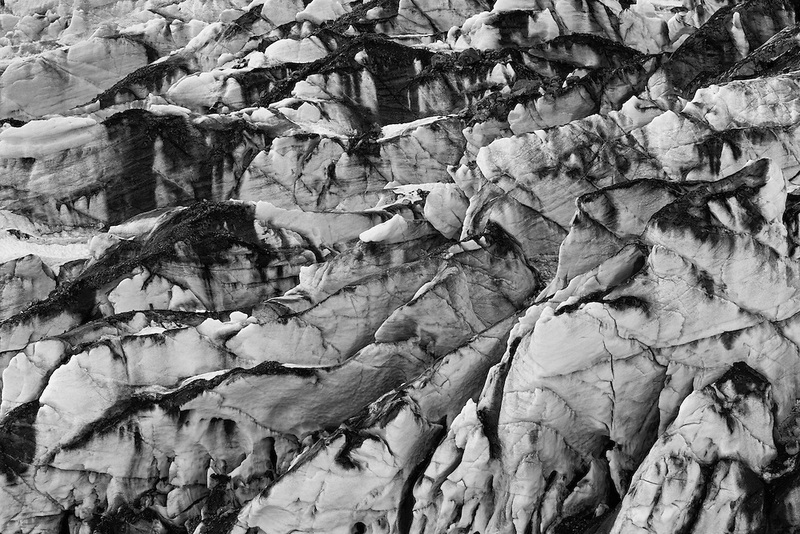 Pressure ridges and rock debris create layers in the face of Childs Glacier in the Chugach National Forest of the Copper River Delta in Southcentral Alaska. Spring. Afternoon.